Rayark is a Japanese mobile developer known primarily for its rhythm games. This is the team that created Deemo, Cytus, and Voez - the latter of which is also on Nintendo Switch and is indeed one of the best games on the platform. 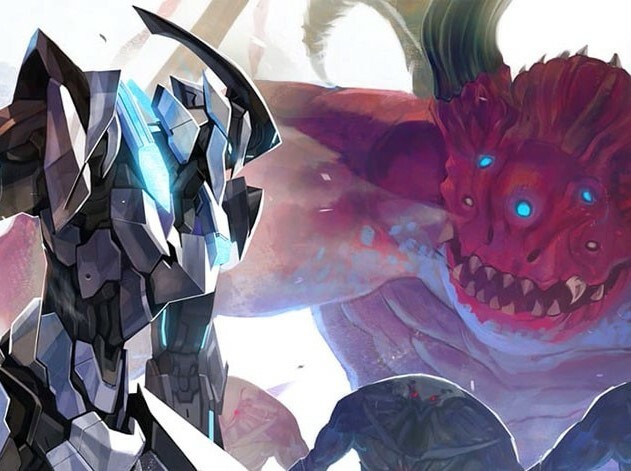 What Rayark is less well known for is its capabilities with regards to JRPGs, and this is disappointing because it happens to have produced a superb one in Implosion: Never Lose Hope. One of the rare premium-priced JRPGs on the iOS platform (it'll set you back $15), Implosion is the real deal; it looks gorgeous and plays incredibly well, giving players a awesome industrial setting to explore and fight through. The game puts players in control of the “WM-III” battle suit, through which you’ll battle using skills and stylish actions. Difficult inputs are entirely unnecessary. The controls are simple—the Y button is used for consecutive attacks, and the X button is used for heavy attacks. Actions will change depending on the timing of the attack. By equipping “Arks,” whic you obtain during the game, you can strengthen the WM-III and create a battle suit all your own. No word on a western release just yet, but considering the mobile game is available in English, and that Voez on the Switch made the western release, we've got odds-on bets that this one will happen as well.